While tattoos seem to be a trendy way to establish your individuality and air your views, they can prove to be a major mistake in the long term. Getting tattoos in the heat of the moment is always a bad idea, and since they are permanent, you’re looking at a mistake that you will probably be carrying around for life, unless you procure the nerve and finances to have it lasered off. This is not to say tattoos are a mistake in general – if well-thought out, properly positioned, and tastefully executed, they can be very visually appealing. 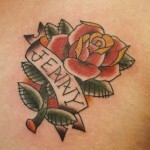 However, there are some tattoo ideas which are major mistakes, no matter which angle you look at them from. 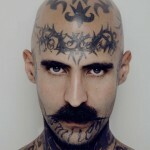 Unless you are interested in permanently marring your appearance, a tattoo on the face or neck is a terrible idea. In addition to spoiling your appearance, a face or neck tattoo can severely limit and hamper your career, as employers are less likely to want to hire you. In the heat of the moment, getting your loved one’s name tattooed on your body might seem like a great idea – however, if the tattoo ends up outliving the relationship, it could be reduced to nothing more than a cruel reminder and an unfortunate mistake, which you will spend the rest of your life reluctantly explaining to curious inquirers. 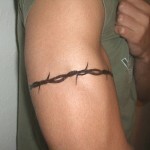 The first few individuals who got these might have managed to pass them off as “tough”, but a barbed wire tattoo is hardly likely to add to your street cred in present times – clichéd and passé, a barbed wire tattoo is tasteless, pointless, and a major mistake. 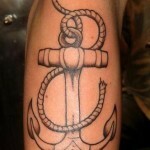 Much like barbed wire tattoos, anchors are outdated and have been done to death. A tattoo is meant to be an expression of your individuality and originality, and there is nothing unique about an anchor tattoo. A fad that has long gone out of style, Chinese symbol tattoos may have been enigmatic when they first started out, but now they’re nothing more than a bunch of lines that most people would need a book to understand the meaning of. 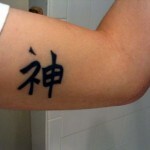 Unless you are fluent in Chinese, or an avid martial arts fan, lay off the Chinese symbols tattoos. Not only are cartoon characters generic and unoriginal, they are prone to going out of style fast, leaving you looking rather silly. 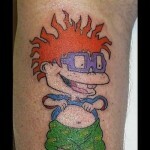 In addition, getting a cartoon character tattoo might seem like a great idea when you are 18, but by the time you turn 40, it is bound to end up looking inappropriate. Getting faces tattooed onto your body is questionable enough, but a well-known face is even worse. 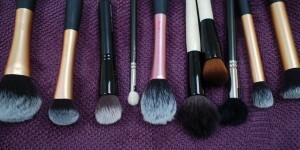 The celebrity may change over time, and not just in terms of physical appearance. If s/he ends up embroiled in a scandal, you might find yourself walking around with a universally hated individual’s face tattooed onto your body. 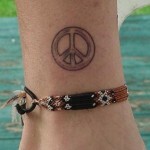 Trends in pop culture are fleeting, but a tattoo is permanent. Keep that in mind when you feel compelled to brand your body with a reference or symbol that nobody will remember 10 years down the road. 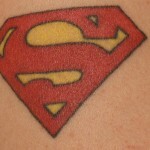 Super hero symbols look good on super heroes – on ordinary people, they just look desperate. Unless you’re an alien with super strength and an aversion to kryptonite, or a mutant who can sprout adamantium claws at will, stay away from the superhero emblems. 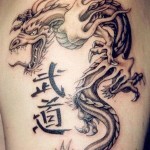 Dragons and other mythical beasts are standard tattoo designs, and getting one will just make you one of the masses. If you are bent upon getting a mythical creature tattooed onto your body, do a little research, find one that is visually appealing and not so common, and personalize it to make it special. As long as it isn’t a unicorn, it should be fine.